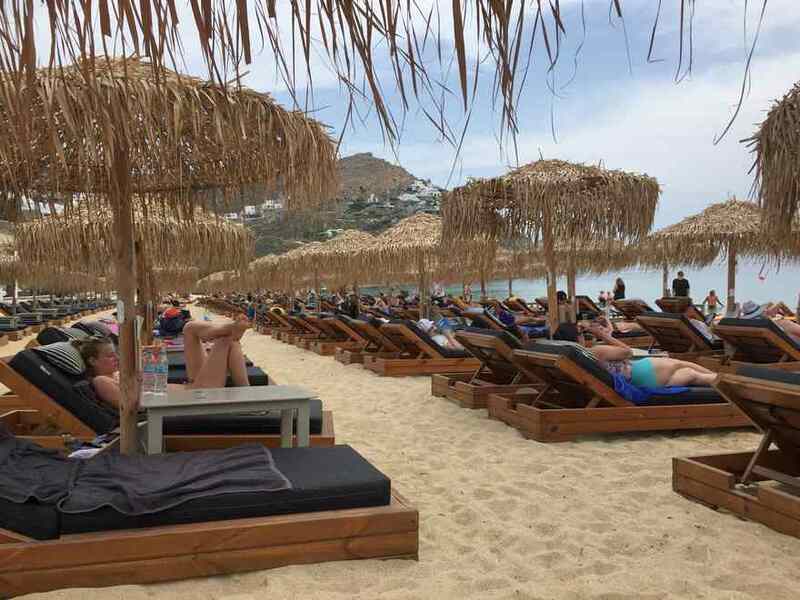 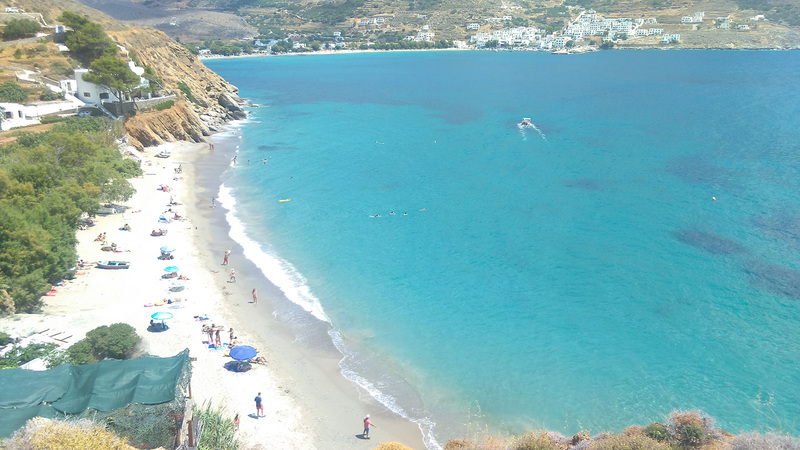 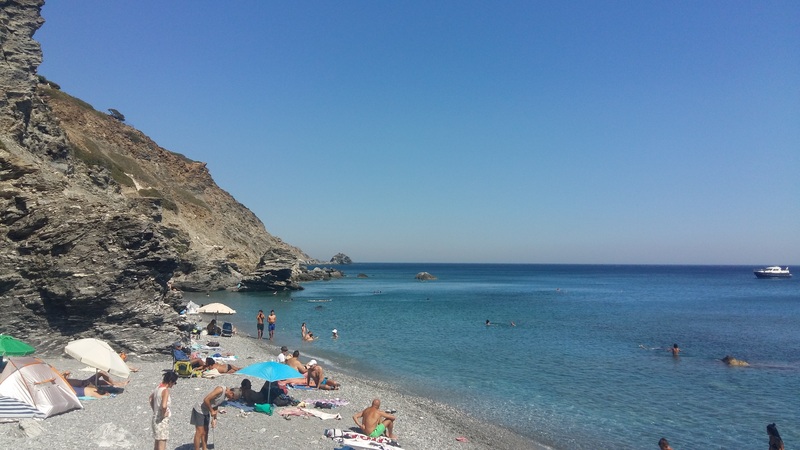 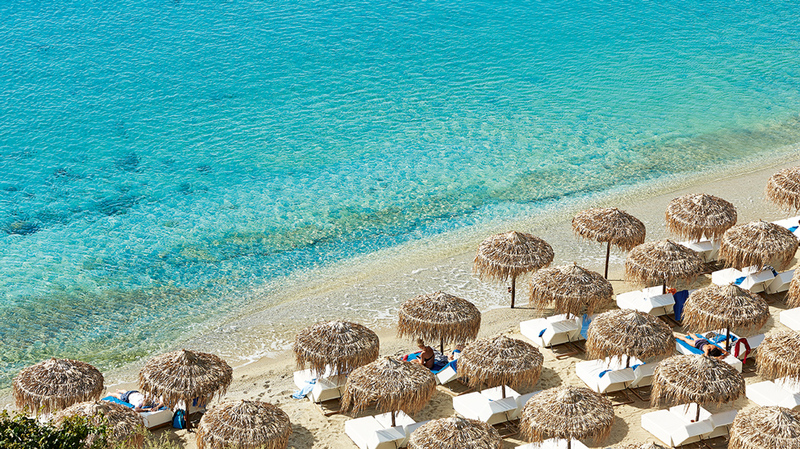 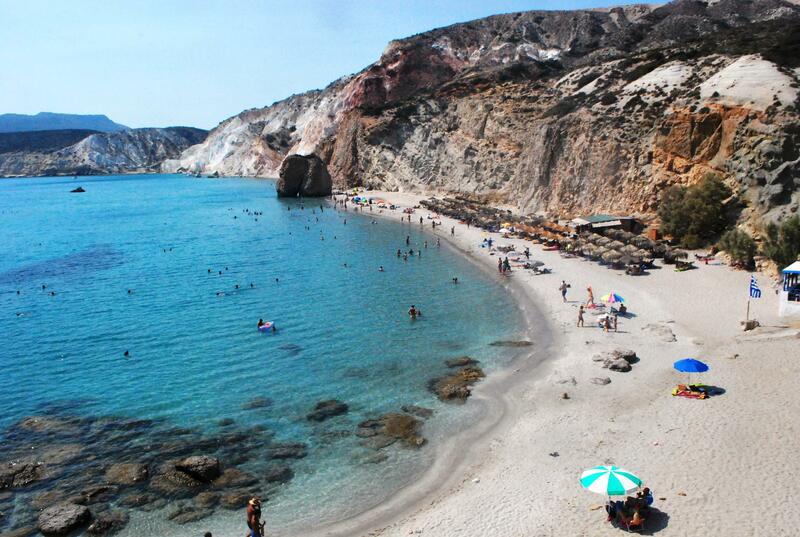 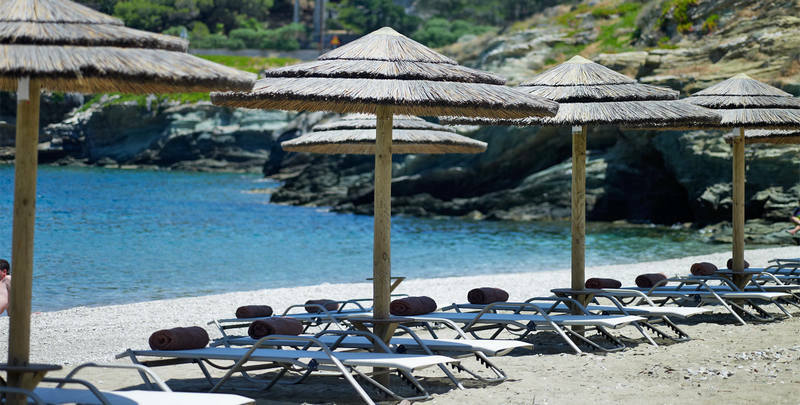 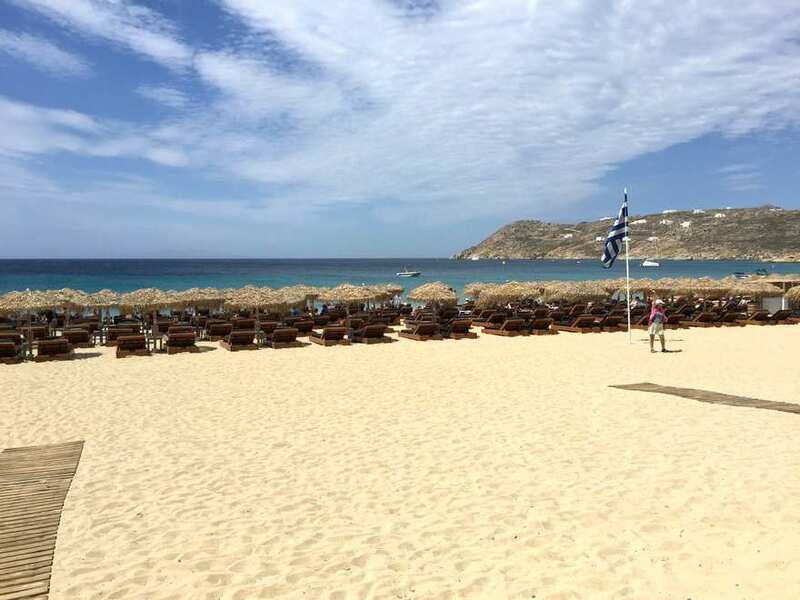 Welcome to our guide about the best beaches in amorgos. 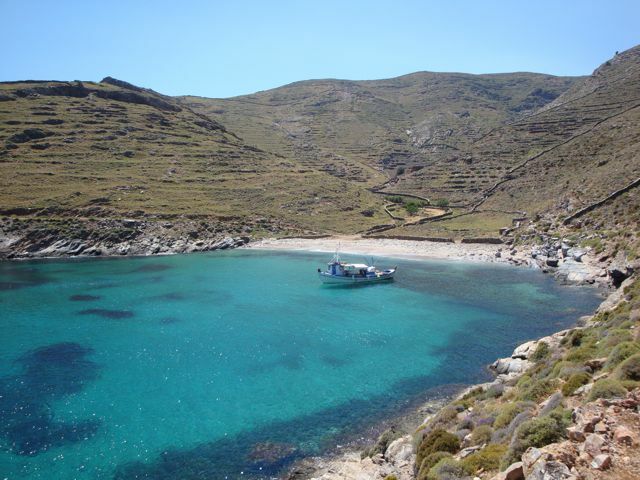 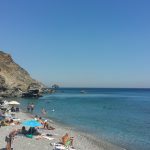 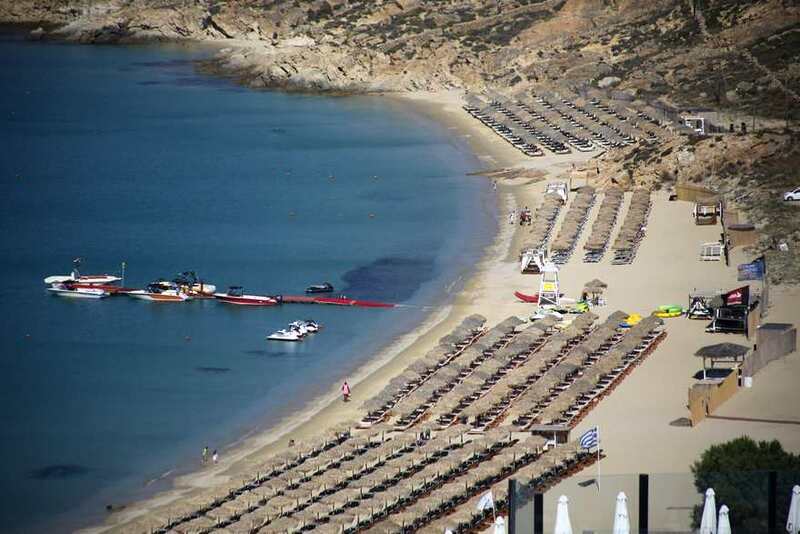 The following are by our oppinion the best Amorgos beaches (best sandy beaches in Amorgos and not only). 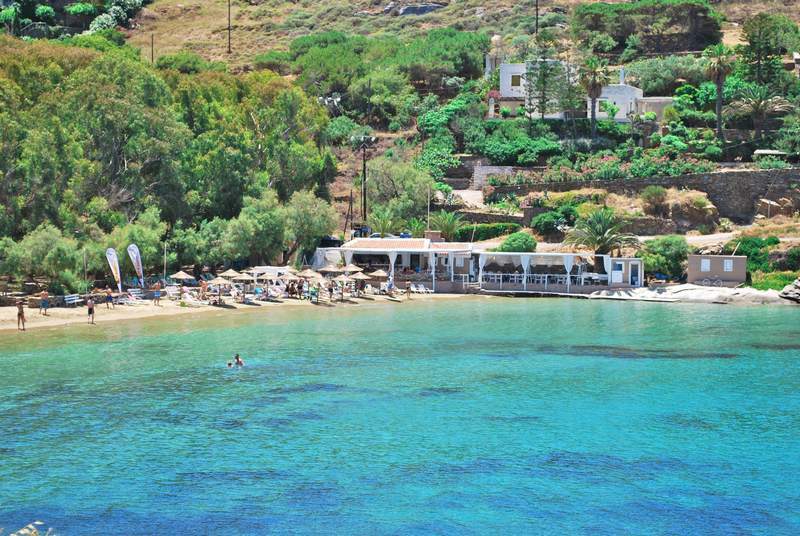 Amorgos Agia Anna Beach is perhaps the most famous beach of Amorgos island. 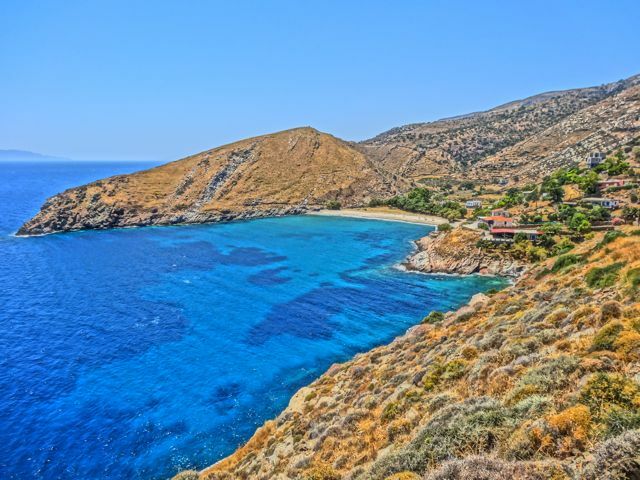 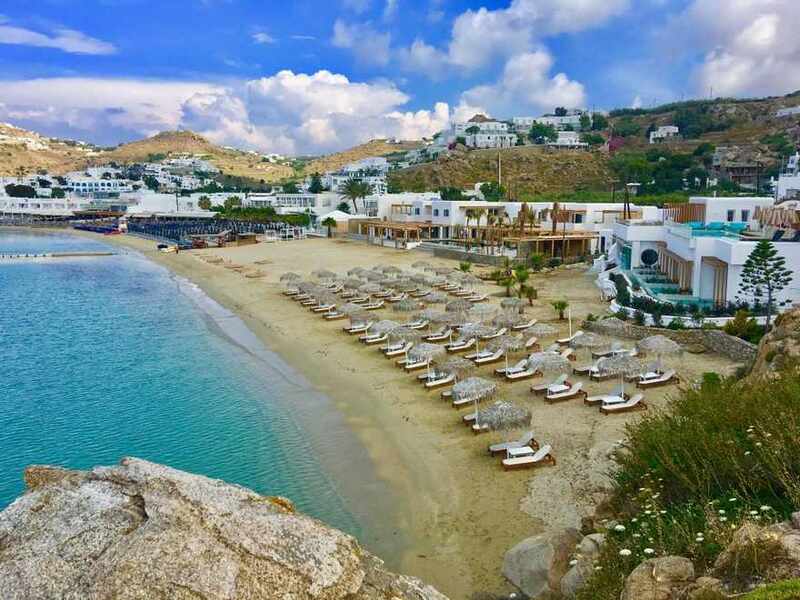 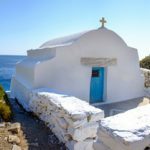 Agia Anna of Amorgos is the dazzling scenery of Lix Besson's "Enormous Blue" movie, revealing to the eyes of everyone who saw the film, the wild and authentic beauty of the island. 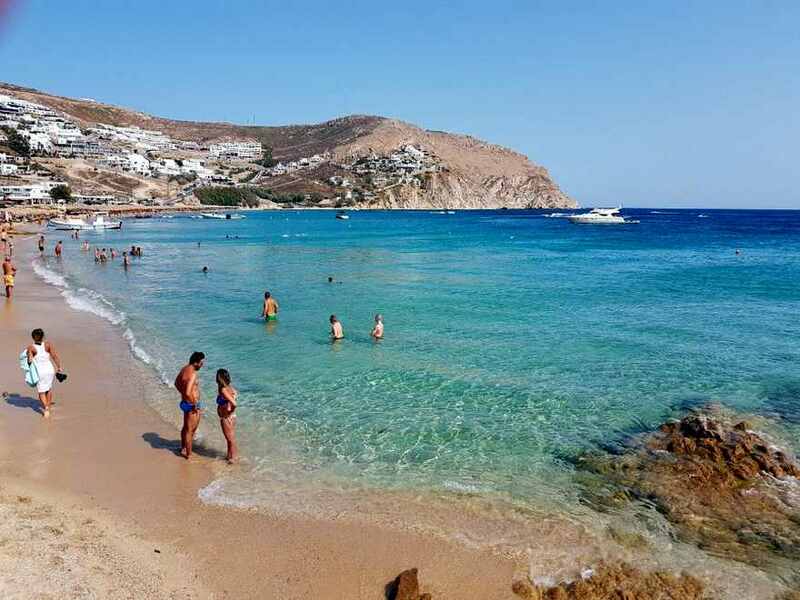 Amorgos Kalotaritissa Beach is a quiet fairly long beach located in the southwestern part of Amorgos located 21 km from Hora. 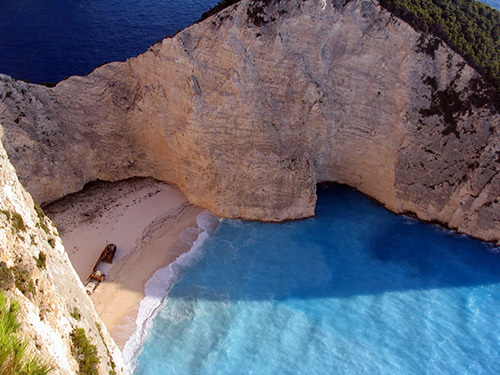 It is protected from winds and waves. 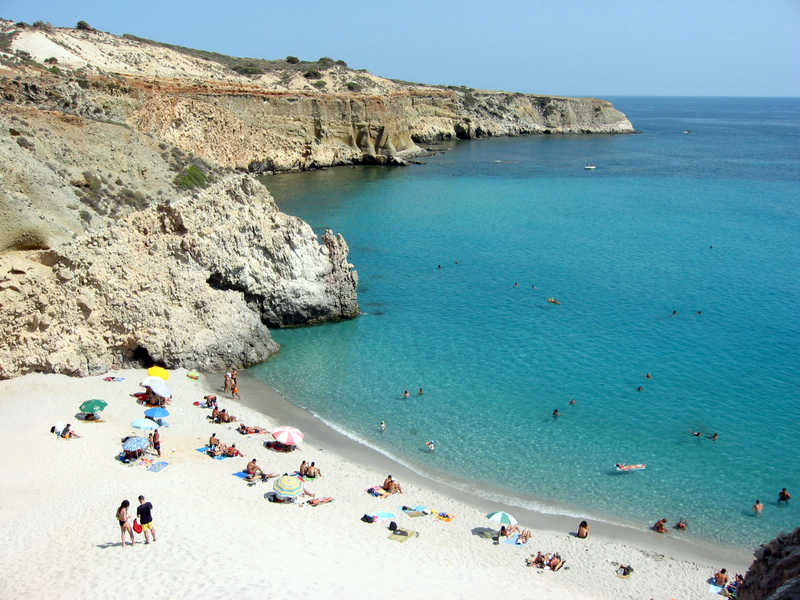 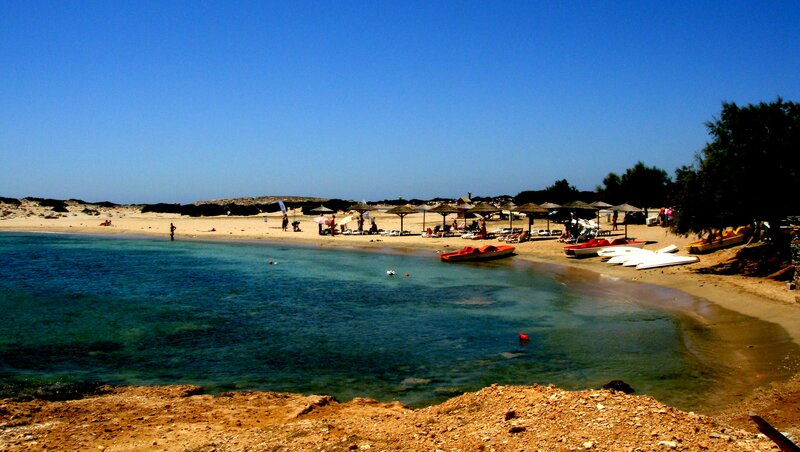 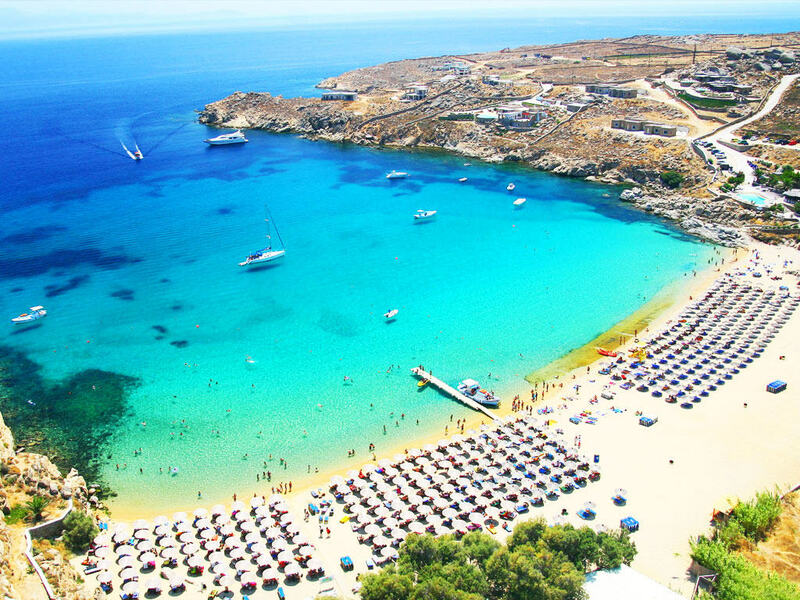 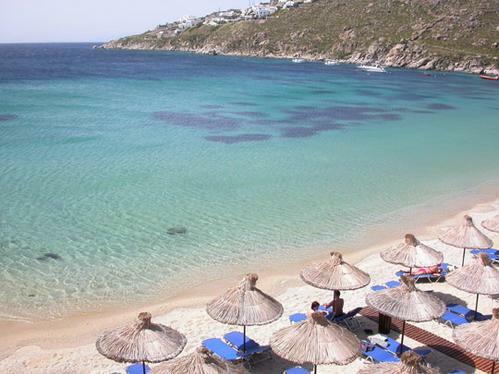 It has beautiful golden sand and crystal clear turquoise waters thus attracting many people during the summer months. 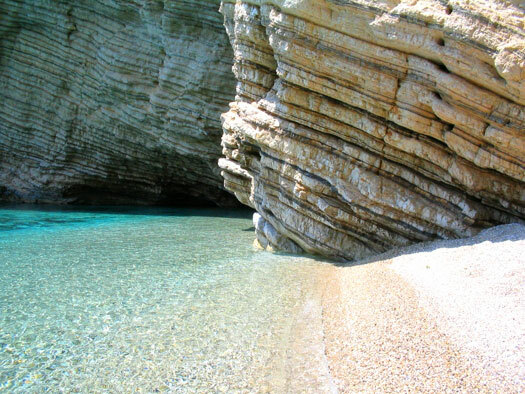 Amorgos Levrossos Beach is a beautiful beach located 1km from the cove of Aegialis, on the northern side of Amorgos. 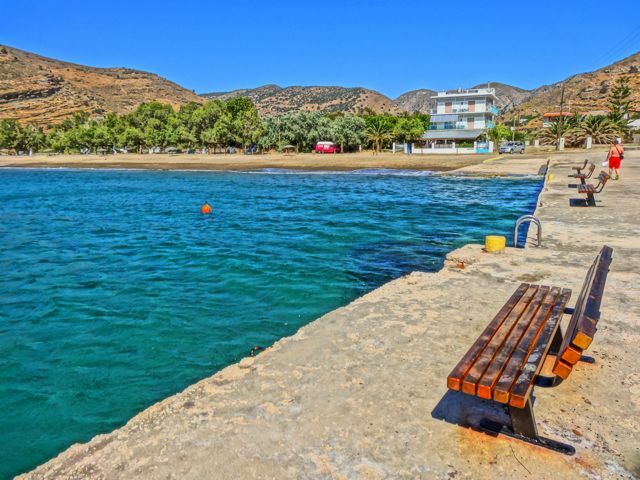 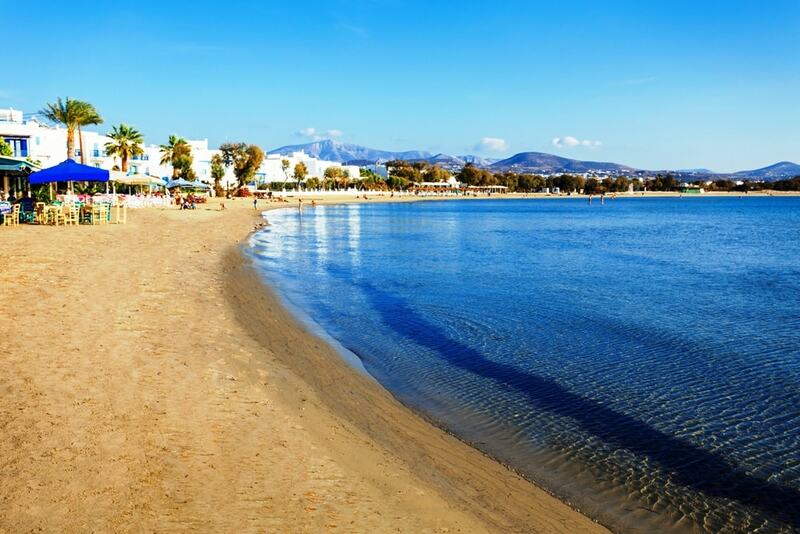 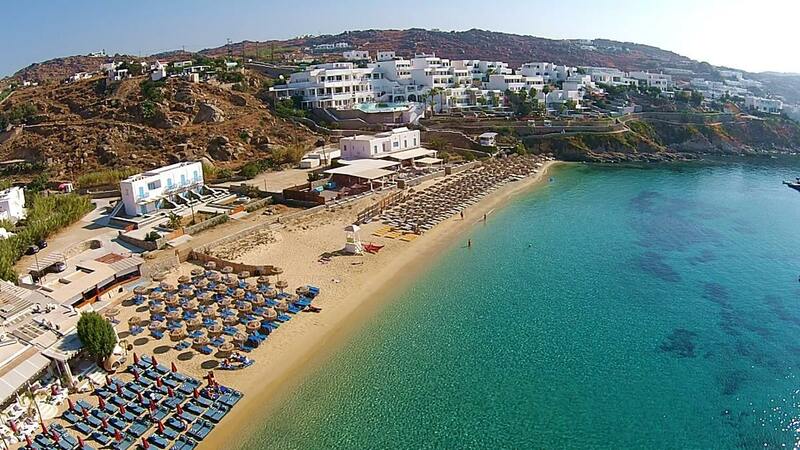 It is a small sandy beach with crystal blue waters and views of the harbor and the River! 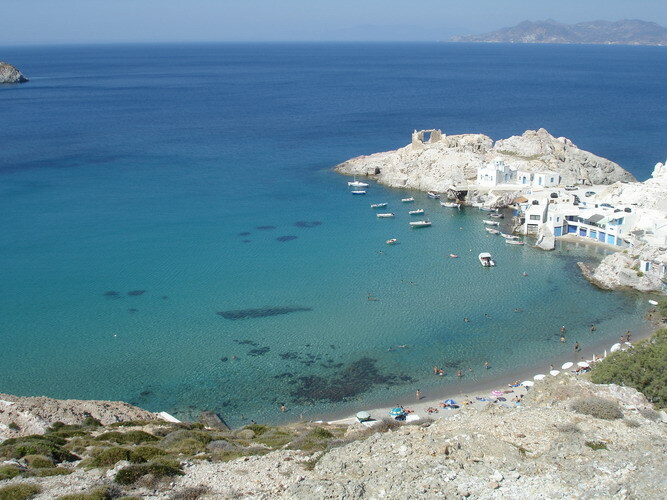 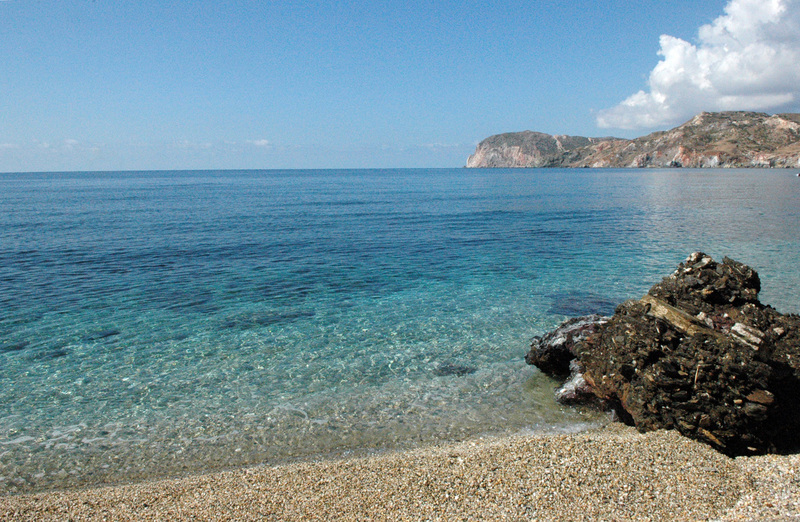 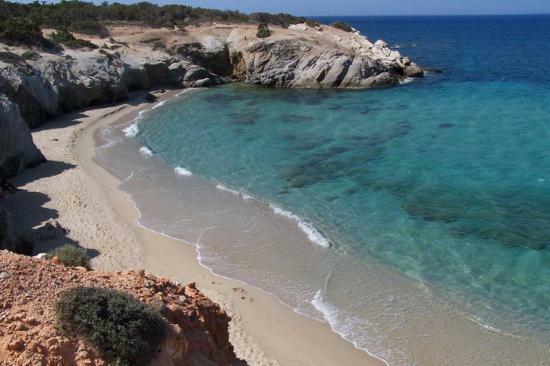 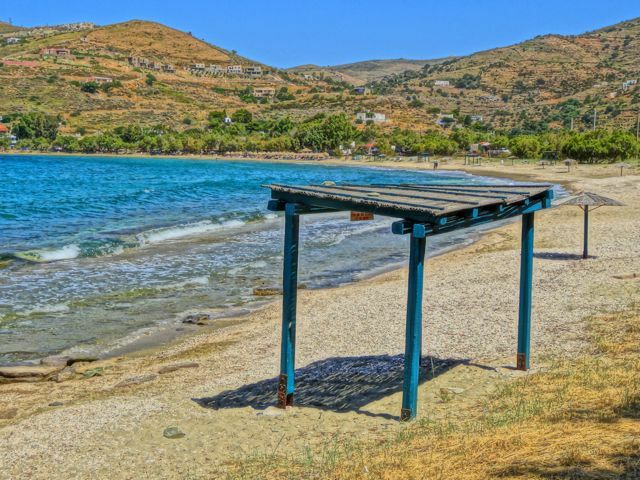 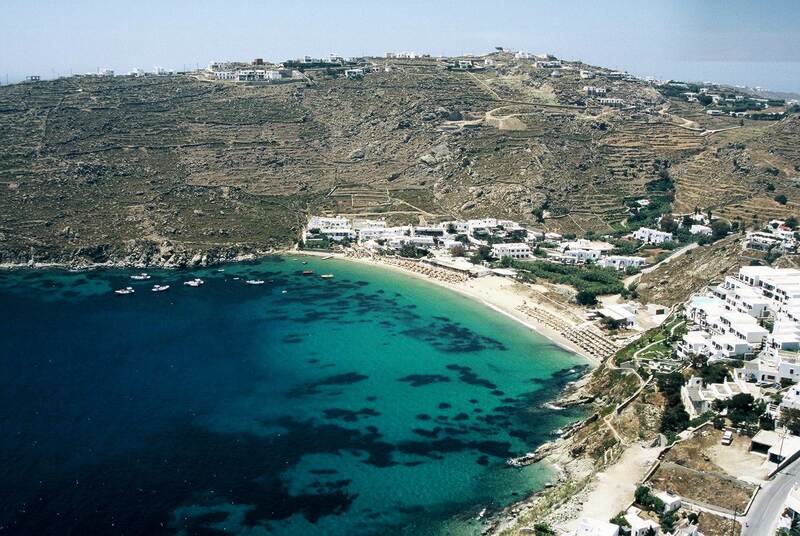 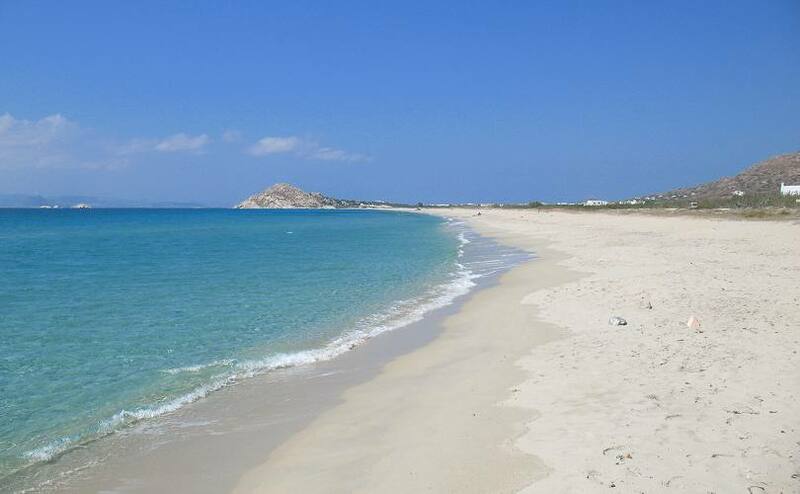 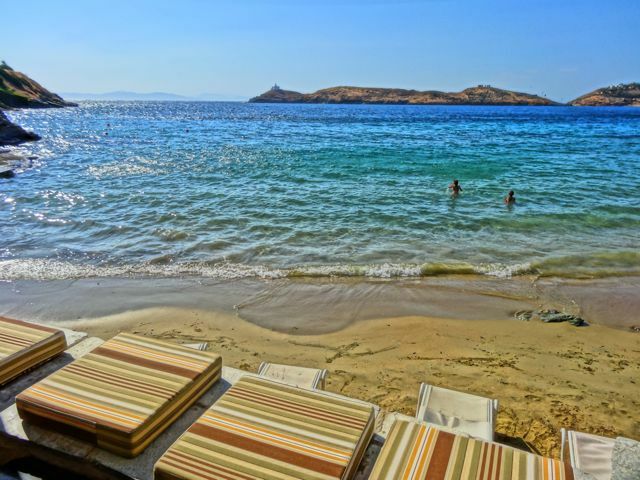 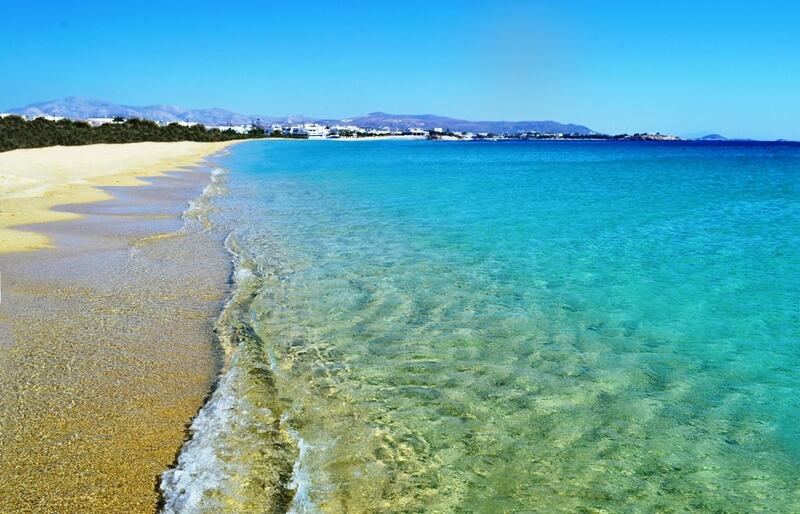 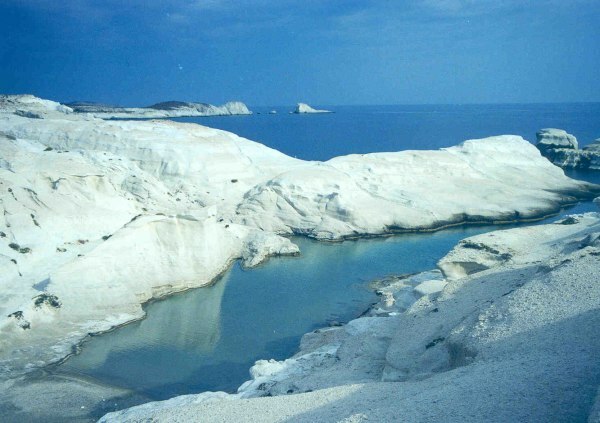 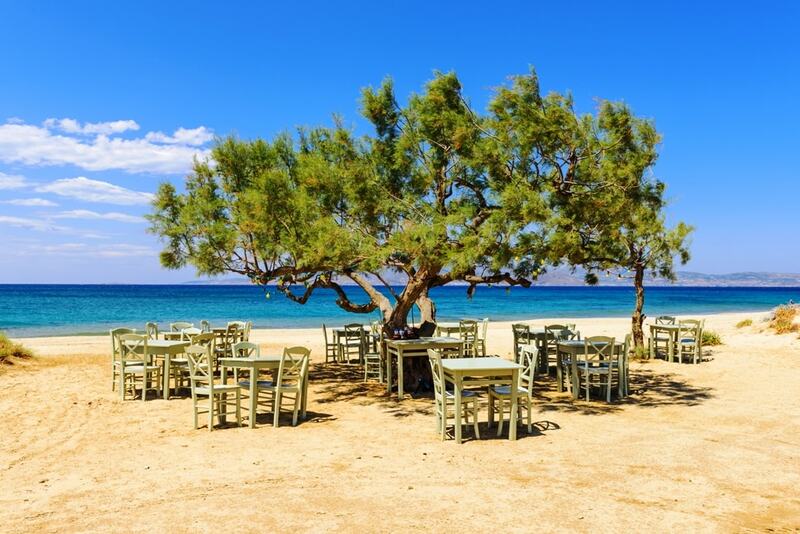 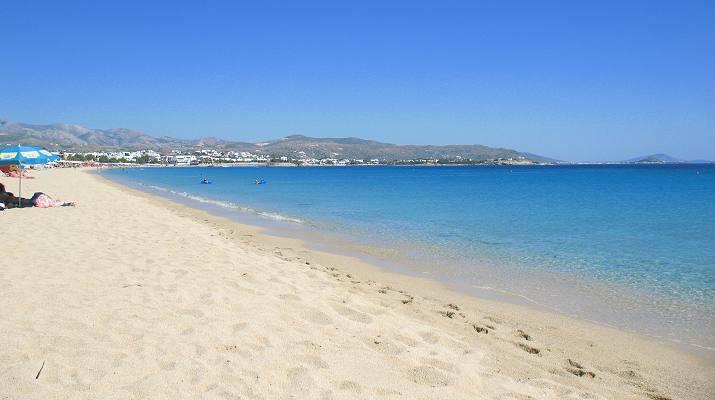 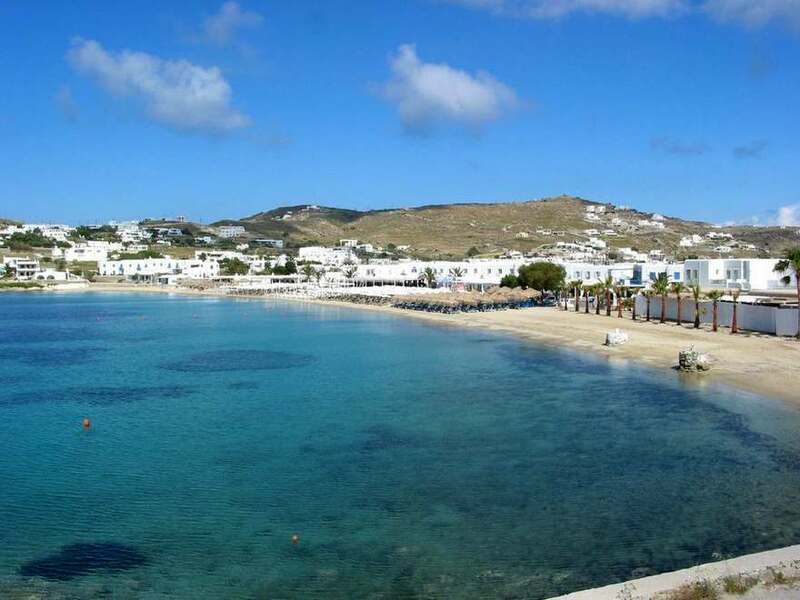 Amorgos Maltezi beach is located northwest to Katapola port and within walking distance of it. 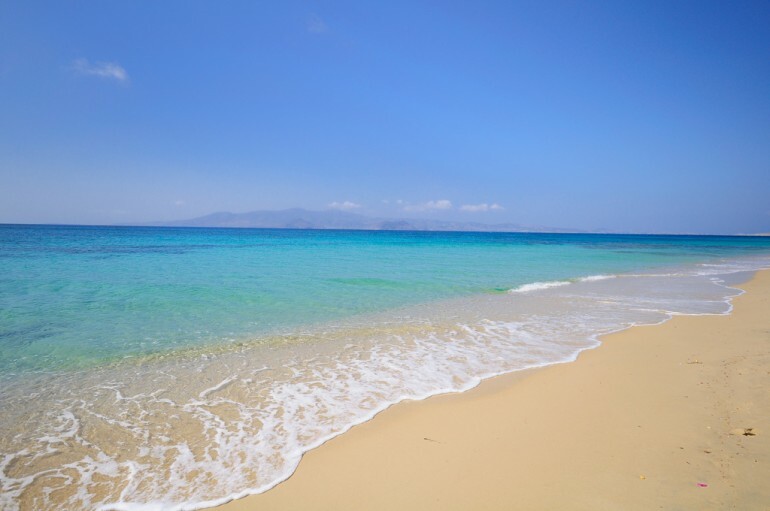 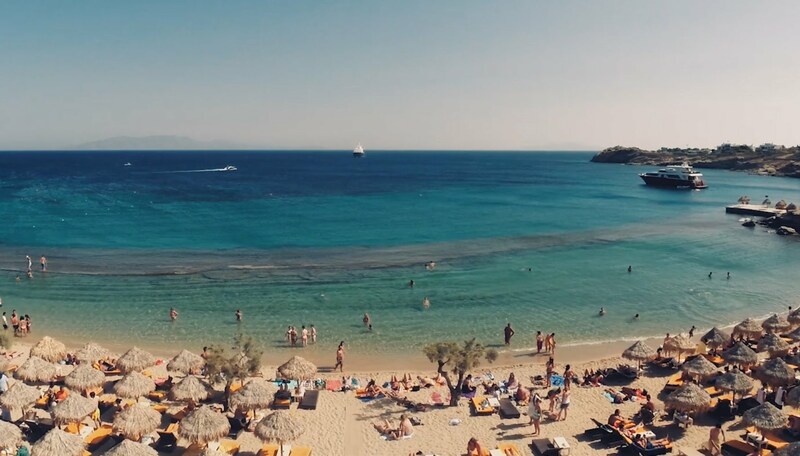 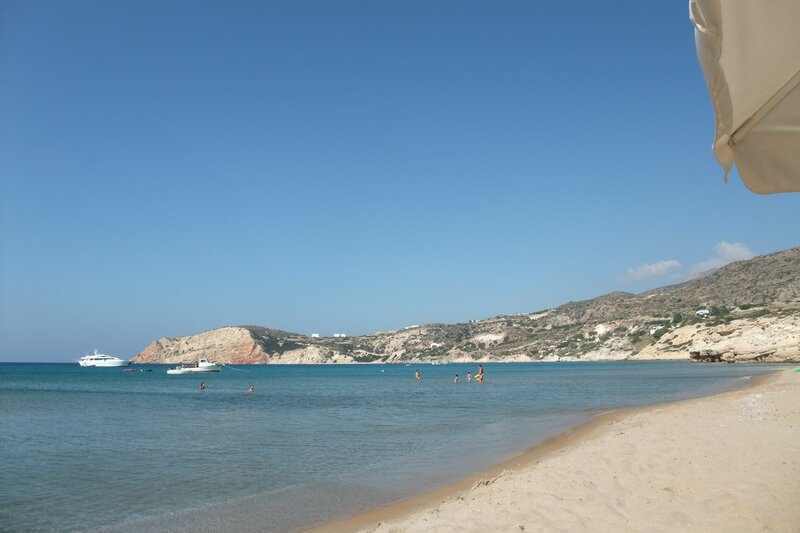 The fine sand on the coast and the wonderful combination of sand with turquoise waters have made the beach as one of the favorite destinations of visitors to the island. 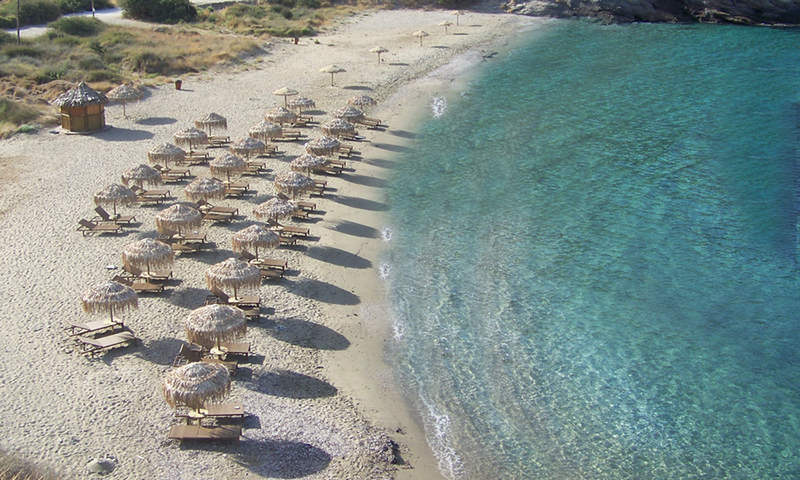 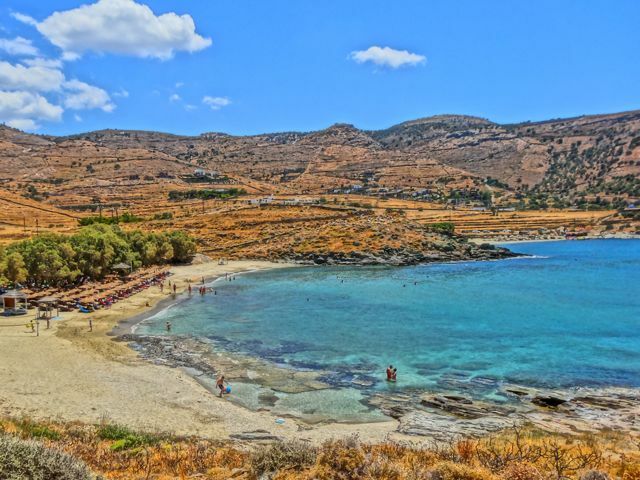 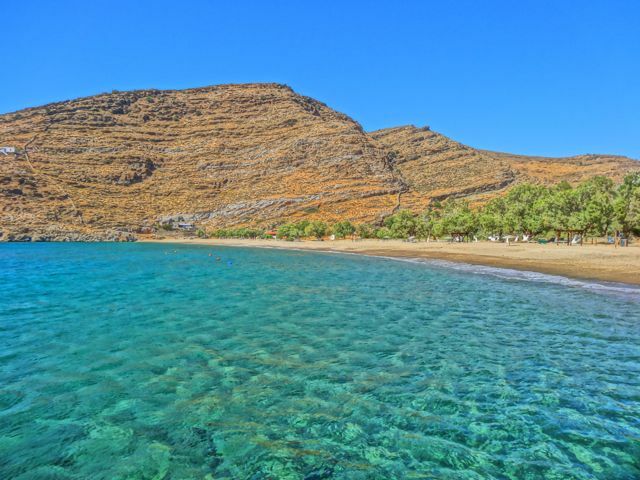 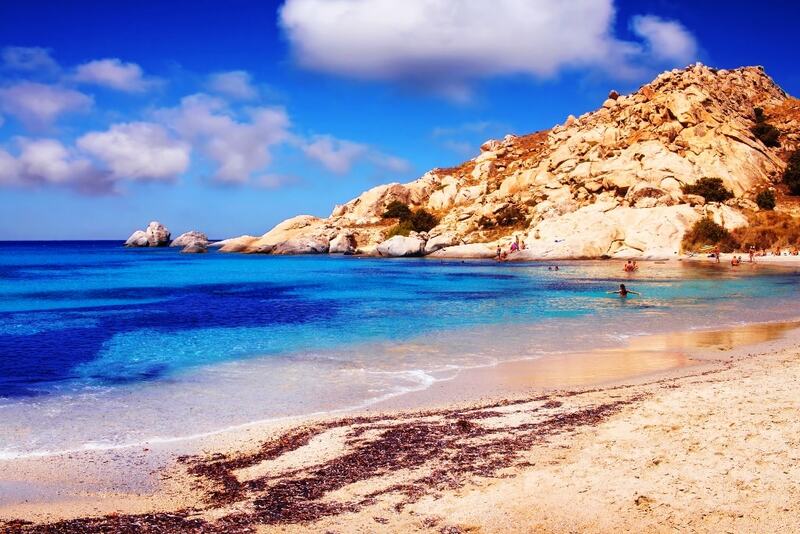 Amorgos Mouros Beach is one of the most impressive and beautiful beaches of Amorgos. 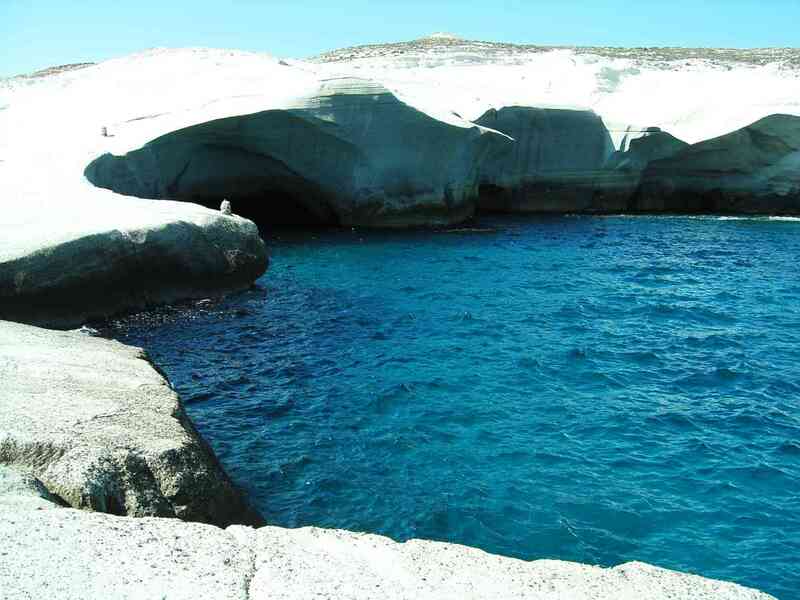 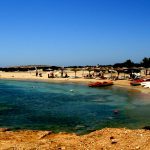 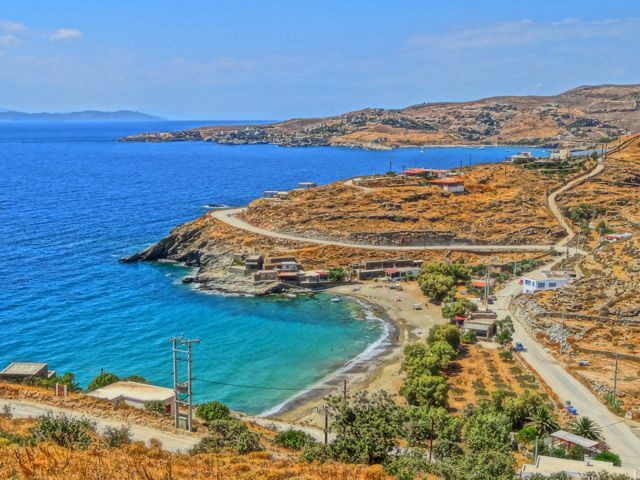 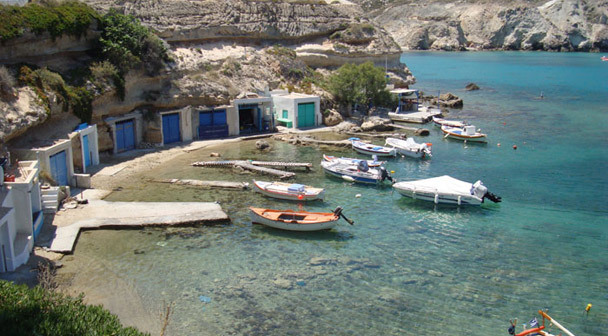 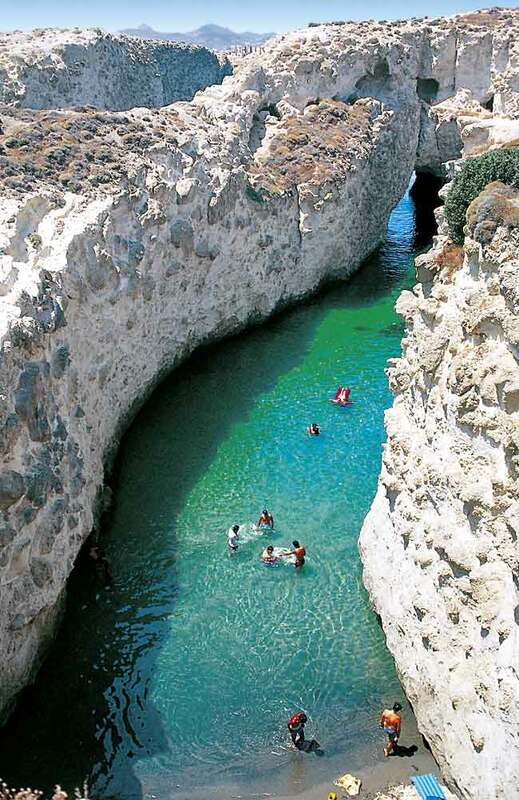 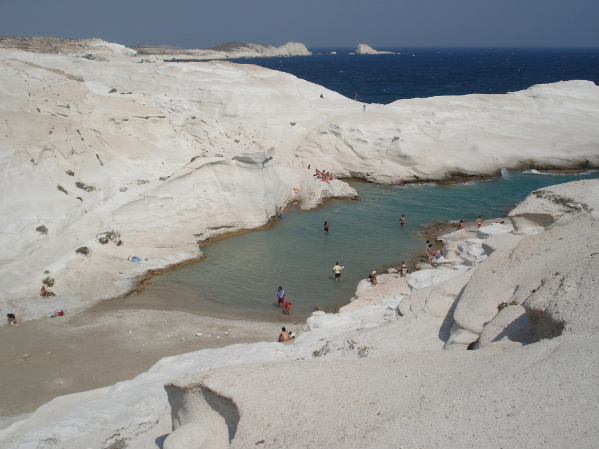 it is located in the southeastern part of the island, just 12 km from the town and very close to Kamari village. 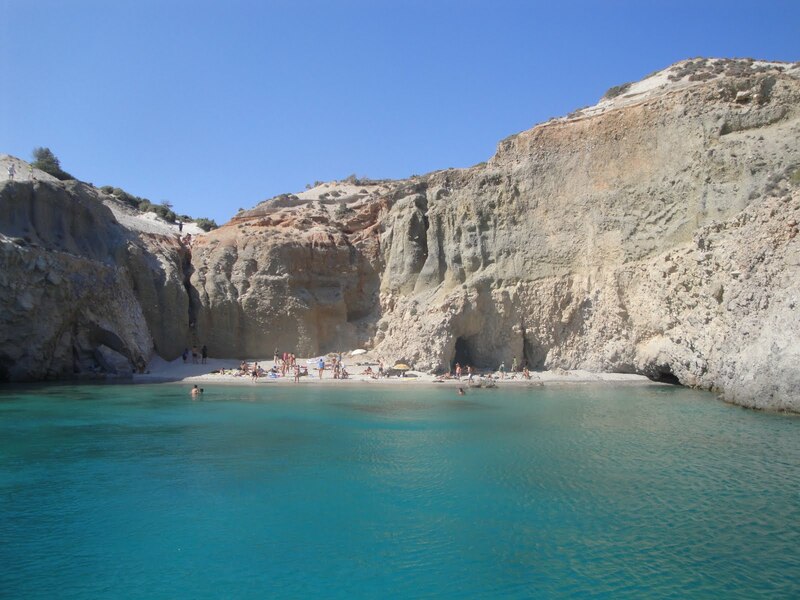 The beach is surrounded by towering cliffs which in combination with the crystal waters create a wild beauty that makes the beach popular destination for visitors. 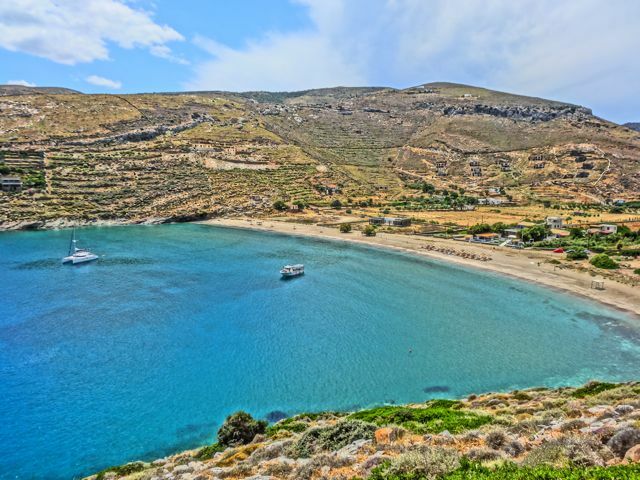 Amorgos Aegiali Beach is a picturesque and beautiful as a beach shaped petal-like and quite big with its length reaches 750 meters. 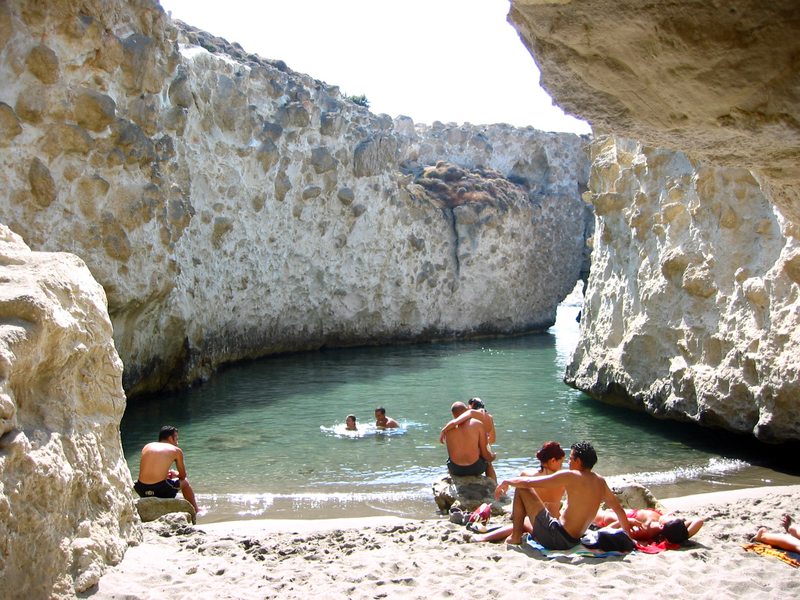 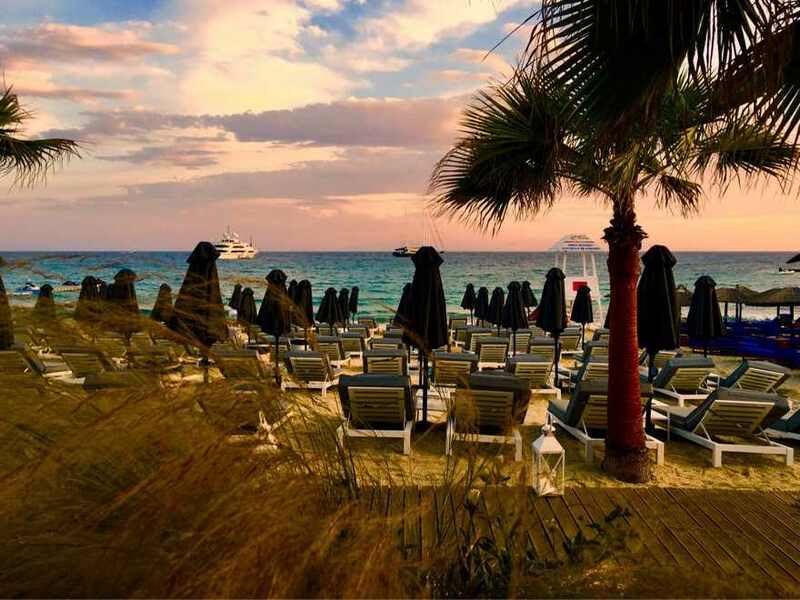 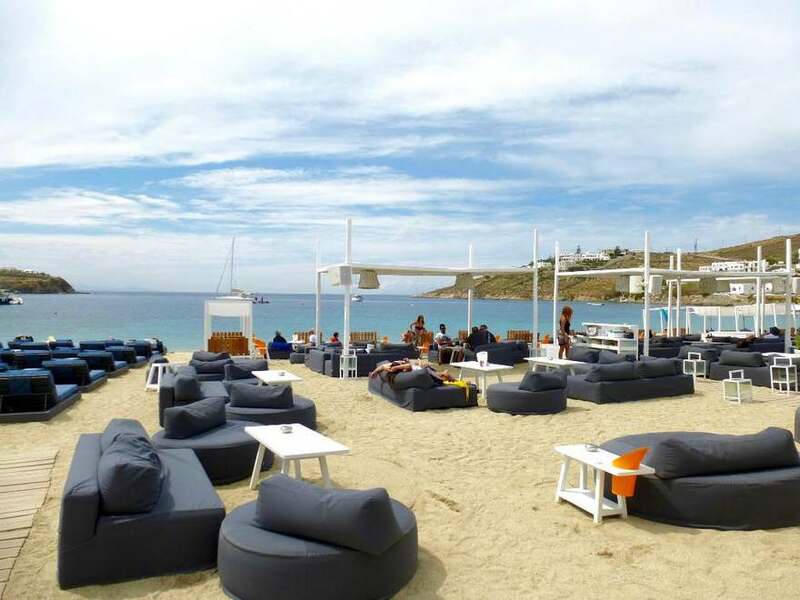 It is very popular and attracts many people during the summer, as it has the easiest access to all beaches. 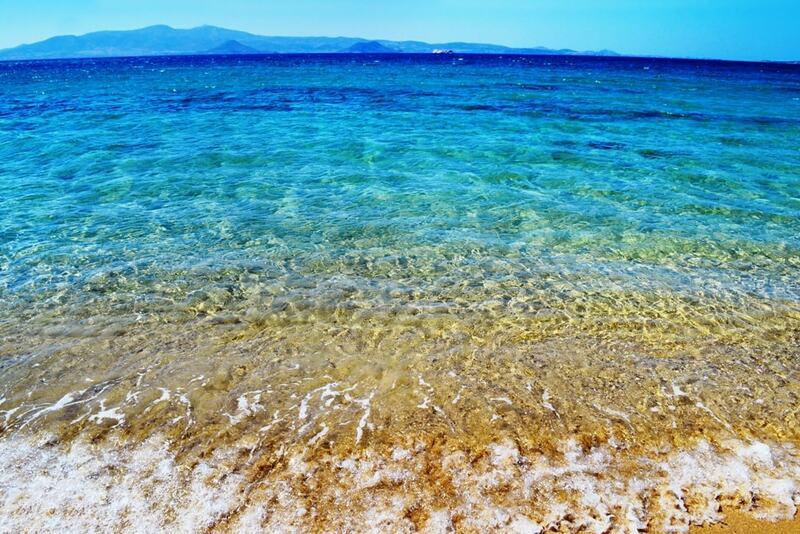 The coast and the bottom will find fine white sand and the water is crystal clear blue and shallow. 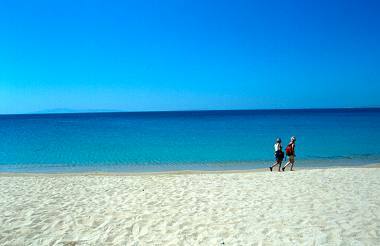 Characteristics that make it ideal for families with small children and beach games.